The Peekskill Police Department named the newest member of their canine team after a fallen Peekskill Detective who passed away in 2013 from sarcoidosis, a disease he contracted while participating in the rescue efforts at the World Trade Center following the September 11 attacks. Charles Wassil, who worked at Ground Zero following the attacks, began having symptoms of sarcoidosis a few month after his time working on the “Pile” at Ground Zero. Based on various studies that are posted on the NYC 9/11 Health website, there is a presumption that exposure to the dust at Ground Zero is associated with the development of sarcoidosis among first responders. This debilitating inflammatory disease often begins in the lungs but can attack any organ in the body. Mr. Wassil’s condition eventually forced him into retirement in 2008 and led to his passing in 2013 at the age of 52. Barasch & McGarry represent Mr. Wassil’s family for a Victim Compensation Fund claim where the VCF has already established that his sarcoidosis is in fact connected to his time at Ground Zero. The firm will be providing the family with the compensation they deserve from the VCF. 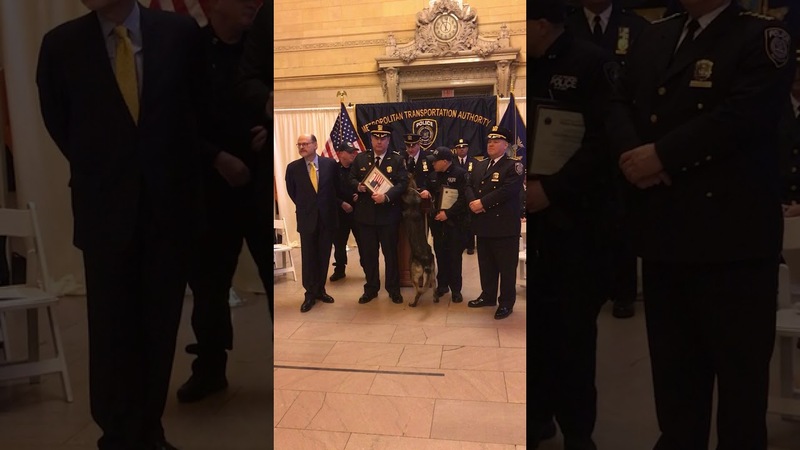 The newly trained canine, Charlie, was formally named at the 2018 Canine Graduation on January 31st at Grand Central Terminal, a ceremony conducted by the MTA Police Department. Charlie’s name was chosen after students of the Peekskill elementary and middle schools held a contest to name the newest officer where Charles Wassil’s name was a strong contender, according to social media sites associated with the police department. Please watch the video of the ceremony here.